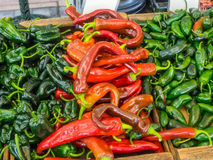 Chili peppers paprika full frame. 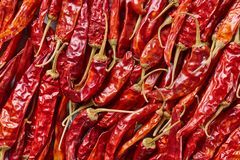 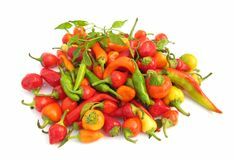 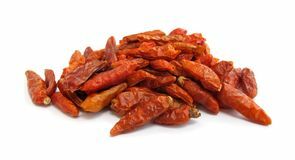 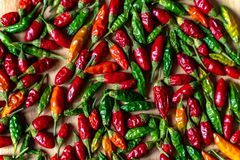 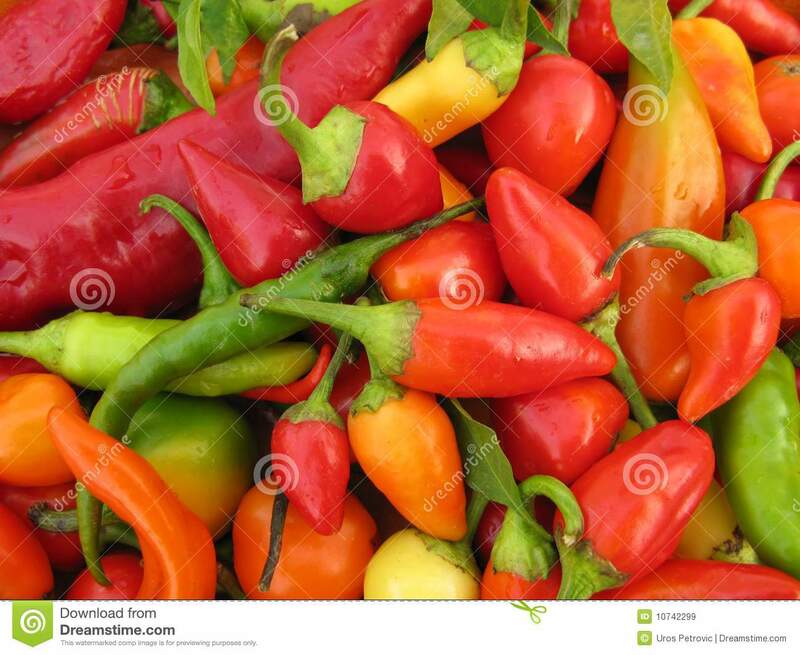 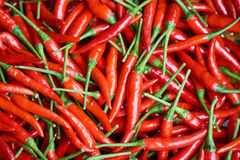 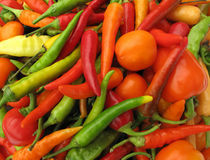 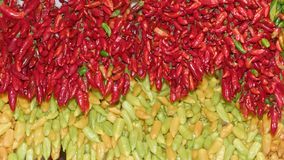 The chili pepper, chilli pepper, or chili, is the fruit of the plants from the genus Capsicum, which are members of the nightshade family, Solanaceae. 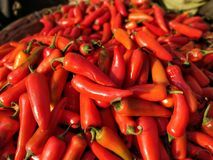 Even though chilis may be thought of as a vegetable, their culinary usage is generally as a spice, the part of the plant that is usually harvested is the fruit, and botany considers the plant a berry shrub.The name, which is spelled differently in many regions (chili, chile, or chilli), comes from Nahuatl chīlli via the Spanish word chile. 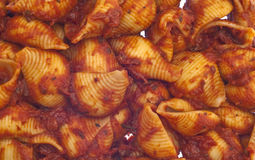 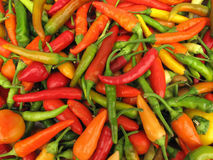 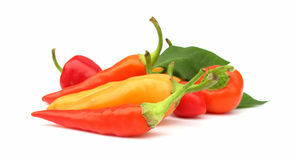 The term chili in most of the world refers exclusively to the smaller, hot types of capsicum. 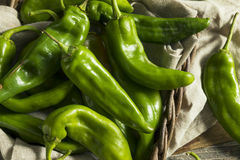 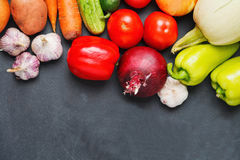 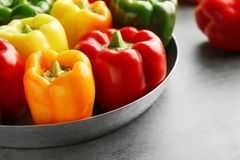 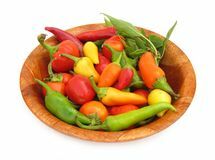 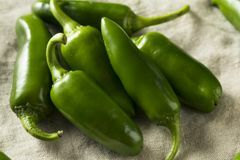 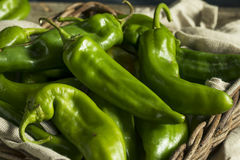 The mild larger types are called bell pepper in the United States, Canada (and sometimes the United Kingdom), sweet pepper in Britain and Ireland, capsicum in Pakistan India and Australasia, and paprika in many European countries. 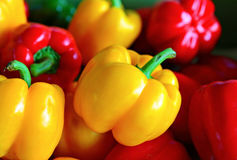 Bell peppers are often named simply by their colour (e.g. 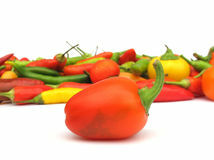 green or red pepper). 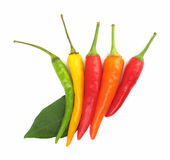 They are now grown around the world because they are widely used as spices or vegetables in cuisine, and as medicine.